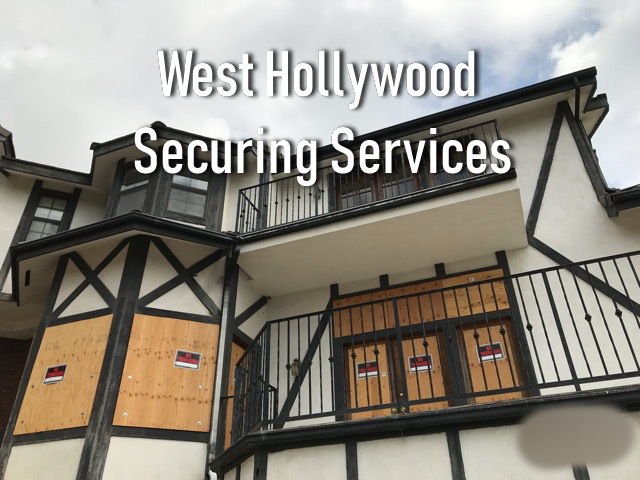 Need to secure your West Hollywood home from trespassers and intruders? Don’t wait for there to be an accident and start making the moves today. We understand how bad it can get to have trespassers break into your west Hollywood foreclosed property and live in there. We want to make sure that your West Hollywood home is properly secured so the property does not lose any more value. We understand how bad it can get when trespassers break-in. Not only do intruders make a mess of the property, but also make it hard for you do have anything done to the home. We want to make sure your property is back to its normal ways and back on the real estate market. We are able to secure the entire location by cleaning the entire squatter group or family out. Our team takes all of the safety precautions when properly evicting someone off the property. Typically if there are tenants still residing in the home, we call law enforcement to help us out. The last thing we want is any confrontation with previous tenants or people living in there. People can get real hostile when it comes to their living situation (I mean who wouldn’t). The property can generate much more money if someone was really occupying the home. To get your West Hollywood home secured today please click on the following button.